And here it goes… another night before clubbing – preparation. For people who club a lot, it could be quite a dilemma to pick something new and interesting from the closet. You end up standing and staring at the dress rack and thinking “Hmm… what can I do to add my look a new edge?”. Answer lies in ACCESSORIES. Yes, these little things can make a dramatic impact on how you look and give you that festive boost so necessary for a fun night. Plus, you want to stand out from the crowd, right? – Colourful shoes. Whether heels or not, wearing bright colors such as pink, yellow, gold, silver, green, red with your favourite jeans or skirts will add party mood to your look. Black is Ok if you wear very bright clothing, but it won’t be noticed if it is on shoes. Go for color and remember, if you buy new – get covered toes to protect your pedicure and have color stand out. – Cute clutches. Little clutch is not only very functional, so you don’t need to worry about having your belongings close to you, but also, it is very pretty. When buying one, get something dazzling. You most likely won’t use it during the day anyway since it might be a bit too small for your wallet, hairbrush, cosmetics, photo camera, book etc. It will however be perfect for a club – all your small items (ID, cash, car key, hm J yes and that too….) will fit in perfectly. – Hats. This is my favourite. You don’t have to wear it every time of course, but make sure you have a few different hats in your wardrobe. 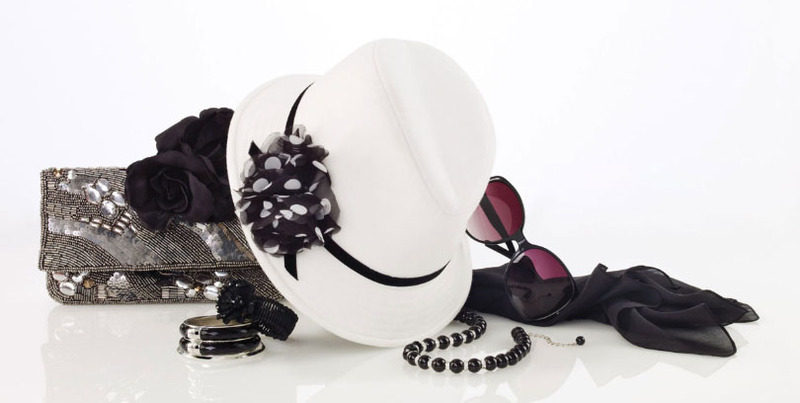 Romantic beret, elegant fedora or playful cocktail hat will complete your look and make you stunning. – Scarves. With many celebrities wearing scarves on any occasion and popularising them immensely over the past few years, you won’t go wrong from having your own collection. These very inexpensive pieces of accessory will make any of your most simple garment look dressy and unrecognisably fresh. Go for color, pattern, sparkle or even ethnic – have them all to go with the mood and party scale of the night. – Jewellery. Ok, I know, this is not for everybody. Chunky bracelets, massive earrings and long necklaces look really beautiful, but when it comes to really putting it on you may be not that excited. Well… when you feel that way, remember, these items will get you the most compliments, after the hat of course. Choose one nice accessory that completes your overall look and go for it. It will add festivity and mood to a party night. Other items to consider are belts that will add style to simple dress and jeans; light shaded sunglasses will add celebrity look; broche will make your plain color jacket or top look more eveningish.